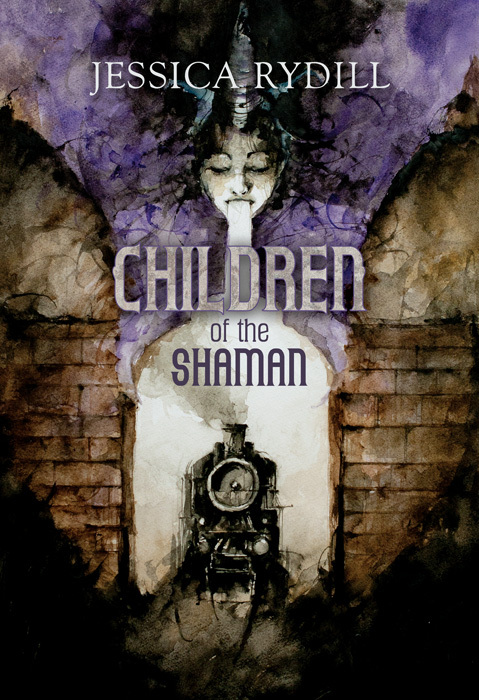 Children of the Shaman on sale now! Children of the Shaman is now on sale from Amazon and Amazon UK. More formats and sites to follow! Published by Kristell Ink Publications, with cover art by Daniele Serra and internal illustrations by Evelinn Enoksen. First published by Orbit Books in 2001, Children of the Shaman now appears in a revised edition with new cover art and illustrations. As well as e-books, the novel will be available in hardback and paperback format. When their aunt is taken ill, thirteen-year old Annat and her brother are sent from their small coastal town to live with their unknown father. Like Annat, Yuda is a Shaman; a Wanderer with magical powers, able to enter other worlds. As Annat learns more about her powers, the children join their father on a remarkable train journey to the frozen north and find a land of mystery and intrigue, threatened by dark forces and beset by senseless murders that have halted construction of a new tunnel. But Annat’s doll, her only remembrance of her dead mother, may hold a dark secret – and when her brother Malchik is kidnapped, Annat and her father must travel onwards to find him before it is too late.